Galaxy S8 Leak Phones rumour samsung Have you seen this potential leak for the Samsung Galaxy S8? 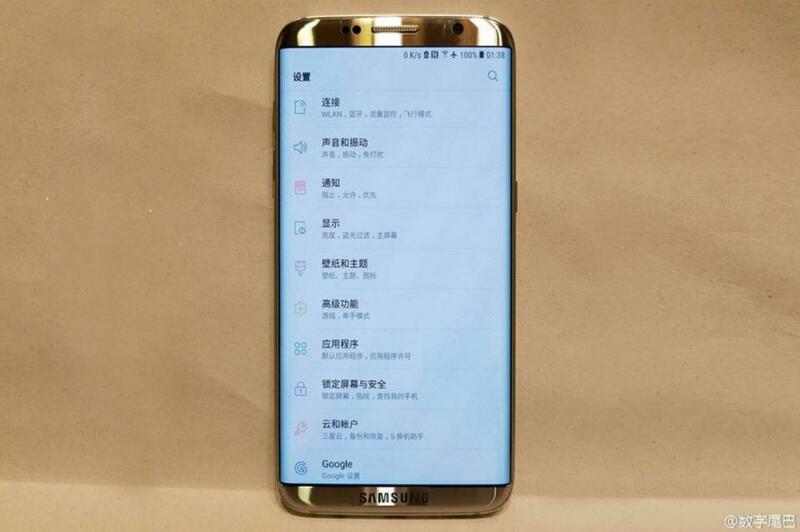 Have you seen this potential leak for the Samsung Galaxy S8? I really liked the S7, and I really liked the S6. Heck, I'm sure I would have liked the Note 7, given the chance. I really think it got dealt a bum deal, and Samsung did a bang up job responding to it, yet the public still likes to throw a jab at the company here and there (just today on the radio, 2 folks were talking about the iPhone anniversary and the one said "but Samsung is really making a big impact too" and the other snidely retorted "yeah, well ... some of them blow up too"), but that's a whole other rant. Point is, I think Samsung could use another win. Now, Samsung gets a lot of flack... mostly from the 'enthusiasts' out there who tend to be snobbish about the ol' TouchWiz scenario. When, in fact, TouchWiz hasn't sucked nearly as bad as it used to, and has gotten quite useful over the past few iterations. The only real ... holdout for me has been I didn't really like the button. I don't know why. But being able to just tap my fingerprint sensor to turn my Moto Z or LG G5 is AWESOME. Using my ol' Moto G4 Plus feels archaic because it can't do that. So, if they improved that, I'd seriously give them a run at having full time in my pocket (but these mods sure are tough to beat). There's no button. Where's the button? Maybe this is the long discussed fingerprint sensor under the glass... maybe it's on the back (OOOH, I'd love that ... especially if the volume controls were there too... loved my LG G4; but I can see the volume buttons on the side). And look at dem bezels. SA-wheet! I can't quite tell if it's beveled off like an Edge variant... I can't figure out what size is it (there's rumours of a PLUS size as well... personally I liked a size in the middle of the 2, 5.3" - 5.5" is the sweet spot for me).